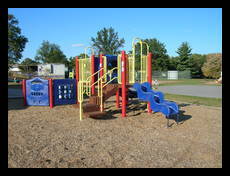 This neighborhood park has a large playground, tennis courts, basketball court, and a soccor field. 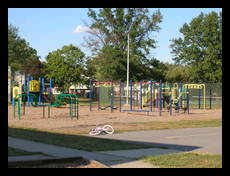 The playground is right next to the elementary school, Part of the playground is probably the schools, and part is the park, but there is no clear separation between the two. 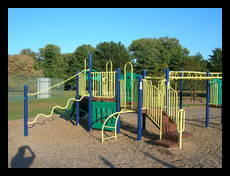 If you go while school is in session you may find the playground in use. 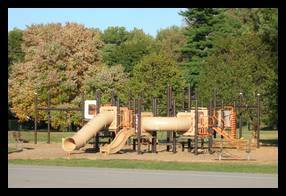 The mulch-cushioned playground is very large, with half a dozen climbing structures, lots of slides, swings, monkey bars, a balance beam, and more. 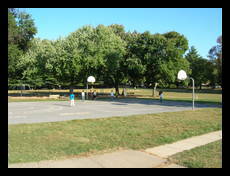 Part of the playground is directly under some large trees, so you will have shade even in the middle of the day. 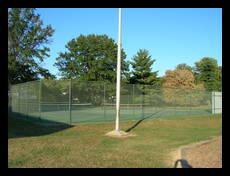 There is also a basketball court (shared with the school) and a soccer field, as well as two tennis courts and a tennis practice wall. Straight slides 8 good Several double slides. Different lengths, some are short. Things to bounce on 2 good A seal and a horse. 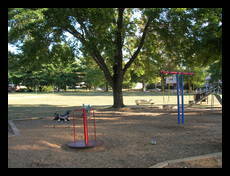 Trees yes good Some of them shade part of the playground. 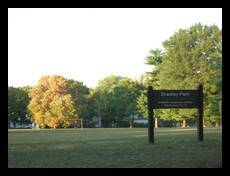 One side of the park also has a line of trees. Parking yes good Parking lot at the school, plus parking along the side of the street.